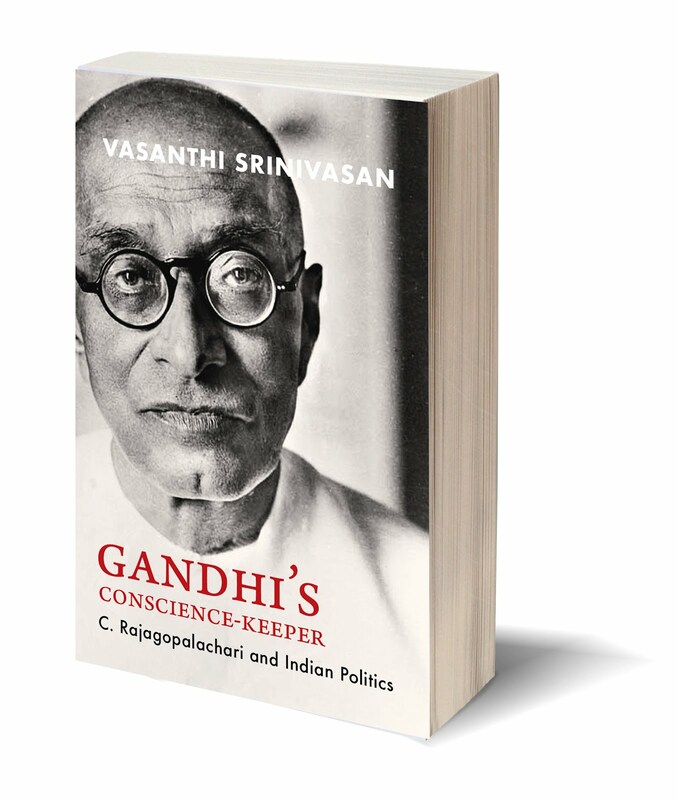 This book examines contemporary environmental issues and movements in independent India on the one hand, and the development of Hindu conservative ideology and politics on the other. It includes the first thorough investigation of Anna Hazare’s movement in Maharashtra. Mukul Sharma argues that these two social currents—environmental conservation and Hindu politics—have forged bonds which reveal the hijacking of environmentalism by conservative and retrograde worldviews. This, he says, constitutes a major aspect of hinterland political life which neither academics nor journalists have seriously analysed. Environmentalism and politics cannot be seen as separate from each other, for environmental issues are being defined in new ways by an anti-secular form of Hinduism. In turn, Hindu ideologues are gaining mileage for their ideology by espousing major environmental projects. Anna Hazare’s impact is studied in detail through a careful field investigation of his environmental initiative in Ralegan Siddhi. Sunderlal Bahuguna’s opposition to the Tehri Dam in the Garhwal Himalaya is outlined with great anthropological subtlety. And the regeneration of Vrindavan’s urban and riverine hygiene by internationally funded NGOs is subjected to a historical scrutiny that includes an examination of how Lord Krishna has been redefined as the great god of conservation. Sharma discusses Nazi Germany and fascist appropriations of environmentalism in Europe to contextualize Hindu conservative nationalists within a larger universe. 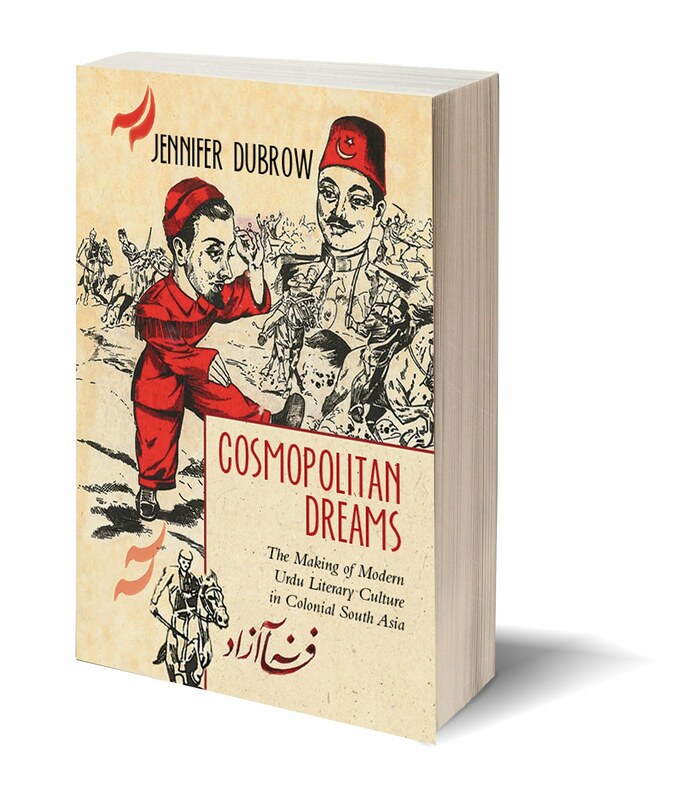 By pinpointing the communal and authoritarian discourses within some of the new social movements, his book alters the way in which we look at everyday life in the subcontinent. 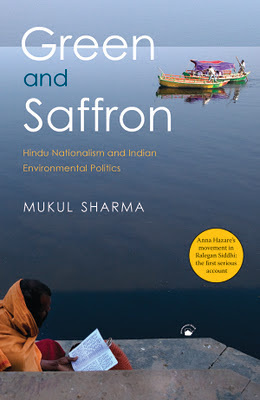 For, says Sharma, at stake in this intermeshing of environmental Green and Hindu Saffron is nothing less than the way Indians understand their humanity. 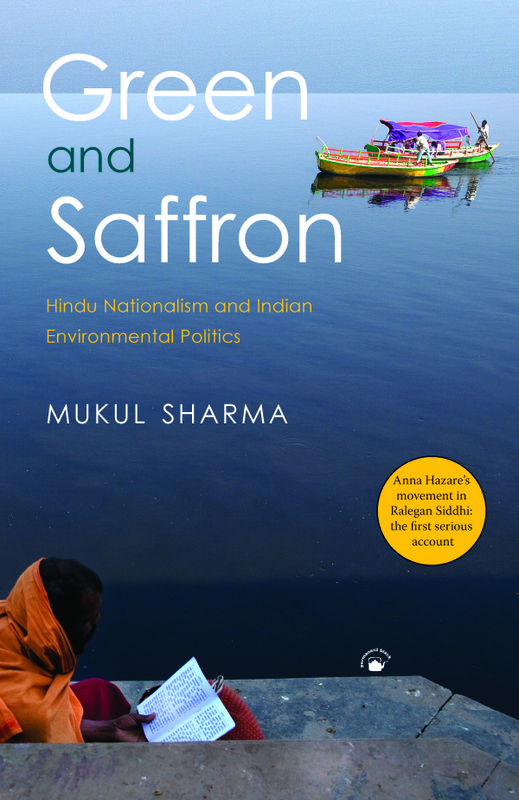 Mukul Sharma’s new book, GREEN AND SAFFRON: HINDU NATIONALISM AND INDIAN ENVIRONMENTAL POLITICS is the first serious scholarly study of both Anna Hazare in Ralegan Siddhi, as well as the interpenetration of environmental movements with Hindutva. 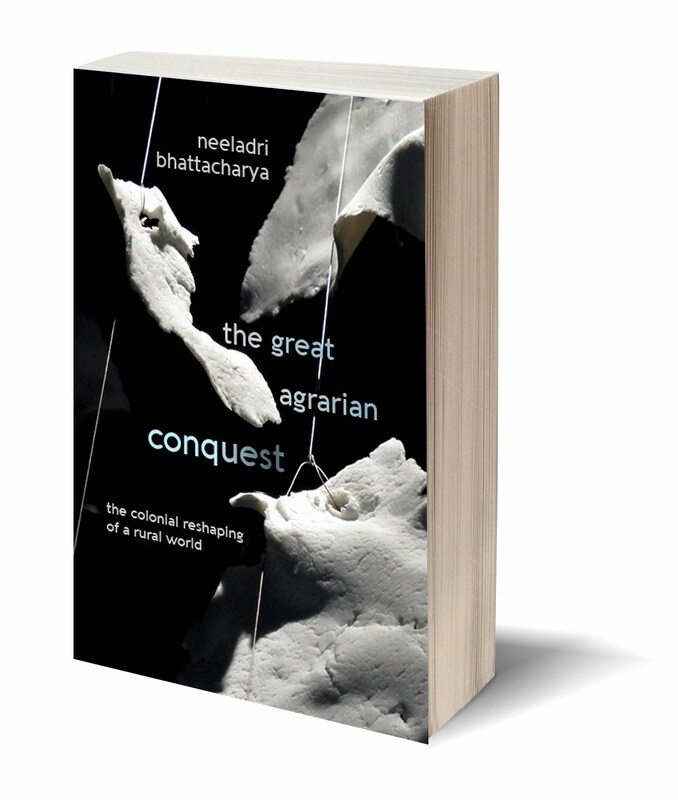 To coincide with the book’s appearance, K. Sivaramakrishnan (Professor of Anthropology at Yale and a major historian of Indian environmentalism) converses with Mukul Sharma. 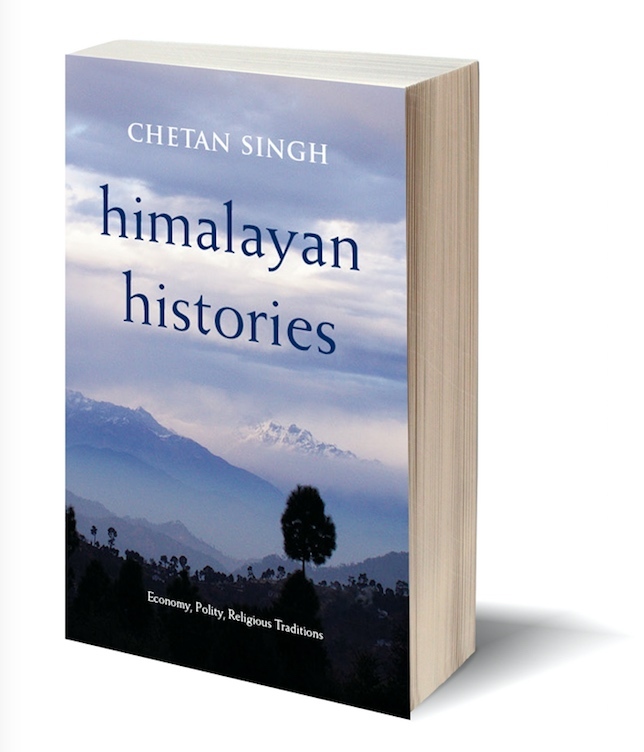 Their conversation, below, contextualizes the book and provides insights into the author’s core interests. How did you come to focus on the connections between religious and environmental values and the associated patterns of political mobilization in environmental movements? Between 1990 and 2001, I happened to do at least three kinds of fieldwork, in different regions, with diverse agendas, and these led me for the first time to begin asking questions about the emerging interrelationships between religious and environmental values and a certain kind of conservative, nationalistic politics in India. First, as a member of an environment journalists team, organized by the Centre for Science and Environment, Delhi, I visited Ralegaon Siddhi village and met Anna Hazare, to write on an ideal green village and an environmental crusader. I published three positive reports on this in the Hindi newspaper Navbharat Times, I was a special correspondent with them at that time. However, uneasy memories, notes, and documents on the use of Bharat Mata, Shivaji, Vande Mataram, army rules, religious symbols, codes and conduct in the village, along with publications by the then prominent leaders of the Rastriya Swamsevak Sangh portraying the village and its leader as a model for the country, continued to haunt me. Second, I had been covering the anti-Tehri dam movement in Garhwal for long, and in one of my visits to the dam site in the late 1990s, where Sunderlal Bahuguna was sitting on a long fast, I met a group of sadhus distributing pamphlets that anchored the religious and environmental values of Ganga not only as a pivot against the dam, but also against alleged ‘enemy’ symbols and people of the country: i.e. mosques and Muslims. And third, when in 2000 I began working with the political foundation of the Green Party of Germany and had an opportunity to visit the country a couple of times, I found a troubled past and present regarding the relationship between the environment and certain kinds of political and religious beliefs. I also felt that environmentalists in the Green Party Foundation were reluctant to formally discuss these linkages. These experiences led me to think in a more concrete and focused fashion on the connections between religious and environmental values, and the associated patterns of political mobilization in environmental movements. 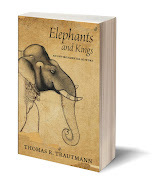 How would you respond to the assertion that books on religion and ecology, often by scholars of religion, have focused on the realms of culture and spirituality as they reflect ideas of nature or information on ecological relations in the natural world. Such scholarship takes little interest in the political realm or the politics present in cultural constructions of nature or sacred objects in nature. On the other hand, the social science of environmental politics often lacks insight into the affective and devotional dimensions through which individuals and groups may relate to nature and thereby find affinity to the natural world in the form of a religious experience. If you agree with this formulation, is it your interest to bridge this divide? Most works on religion and ecology, in the specific context of India and Hinduism, are often banal and unidimensional. They usually explore Vedic and Brahmanic understandings of religion, and apply them to the natural world. Leave aside the political realm, they do not even have space for contesting visions of religion and environment. Let me give an example from my village Vishwaspur, in Bhagalpur district of Bihar, where there is a thakur vadi (place of God), owned and nurtured by us, a few Brahmin families, in the name of the whole village. The religious values and practices associated with this place have a robust conservationist and protectionist streak concerning the ponds, trees, and water bodies in its vicinity. However, this religious place, its fruits and ceremonies, are closed to the Dalits of the village. The ‘sacred’ trees of the complex can only be worshipped and used by the Brahmins and Thakurs. So what kind of religious and spiritual values of the environment are we talking about, and by and for whom? 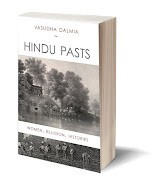 I have also been finding many such instances in the state of Rajasthan—where there has been much hype around religiously and culturally celebrated ponds and water bodies—in the course of my new research on Dalit environmentalism. We need to dissect the various forms and content of religion in the environmental arena so that their regressive and liberatory aspects are understood simultaneously. Howsoever, worthy the religious beliefs and practices of an individual or a group may be for the environmental world, my interest lies in seeing it through the spectrum and cross-section of caste, class, gender, justice, and equity, and not as a stand-alone point of reference. Green and Saffron reflects precisely such a politics of the environment. 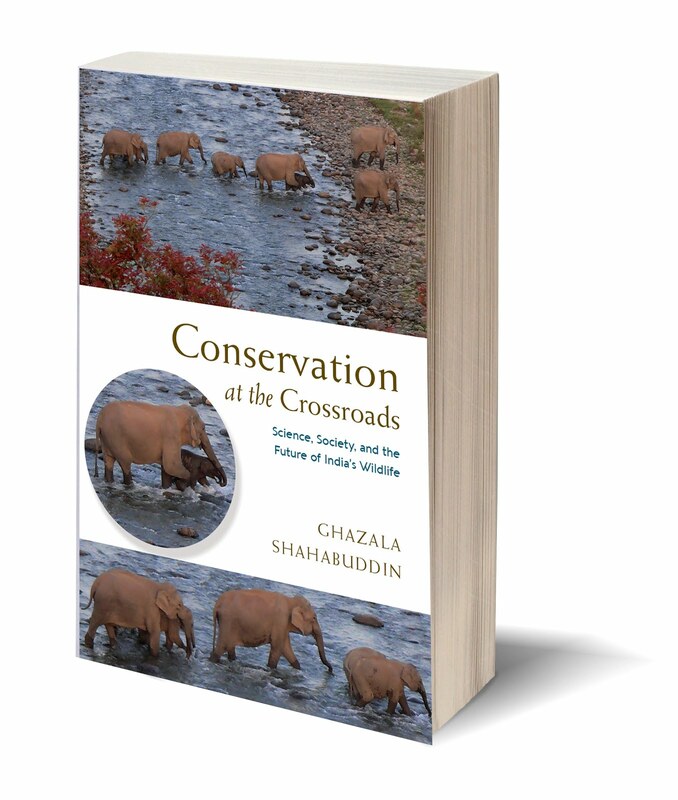 It explores the cultural, ethnic and sectarian dimensions of green issues in India. This also underscores the intermeshing of identity, power, and nature. How did your earlier career in journalism and subsequent career in the world of civil society organizations come to influence your research and writing of scholarly work? As a journalist, I gained experience doing intensive and regular field work on the environment and rural issues at several critical sites in India and abroad. Tags like ‘rural’, ‘environment’ and ‘labour’ journalist came later, invented narrowly by media organizations. Some of the habits and practices developed at that time—going to the field and staying there, spending time listening to a cross-section of people, gathering diverse facts and documents, cross-checking, visiting local libraries, and most critically seeing a particular environmental or rural issue not only from the lens of a subject but also from a cross-cutting of subjects and articulations—have influenced my present work. After that, my continuing career in the world of civil society organizations made me conscious of the slippery and often shallow nature of research undertaken, and how not to do an academic and serious research work. Also, civil society organizations, working particularly in the field of the environment, made me more alert to its political implications. I have seen here, for example, how the notion of ‘sustainable development’ has frequently been stripped of cogent meanings and how incongruous actors, from power-driven governments and profit-making corporations to indigenous people and city-action groups, have couched their intentions in the language of sustainable development. Indian writing on environmental topics, even by people who wish to contribute to scholarly debates, or those who ultimately become academics, has often originated in activism or public concern around a specific issue. Do you find these ties between political engagement and scholarship limiting the kind of topics and perspectives environmental scholarship in India has taken up? Are there consequent gaps in the scholarship? What might they be? I find Indian environmental scholarship, otherwise very rich and path-breaking, thin in terms of its political engagement in post-Independent India, especially in comparison with other parts of the world. There are only a few specific arenas, like dams, water, forests, and gender, where ties between environmental scholarship and political engagement have produced significant studies. Such concerns have expanded environmental horizons, including its subject, actors, and writers. However, there is still too little politics in environmental scholarship and too much rhetoric in political writings on the environment. We are yet to see nuanced and rich understandings of ecological politics in India, in all its dimensions. Studies on the politics of a particular moment and movement, of a community and its leader, of an area and its tradition, are not enough to fill the lacuna of a broader and wider understanding of ecological politics in the country. There is a vast and vibrant political canvas of secularism and communalism, nationalism and authoritarianism, democracy and political parties, capitalism and socialism, Dalit and Brahmin, red and blue, superpower and regional power, which impinges on environmental politics, and vice versa. 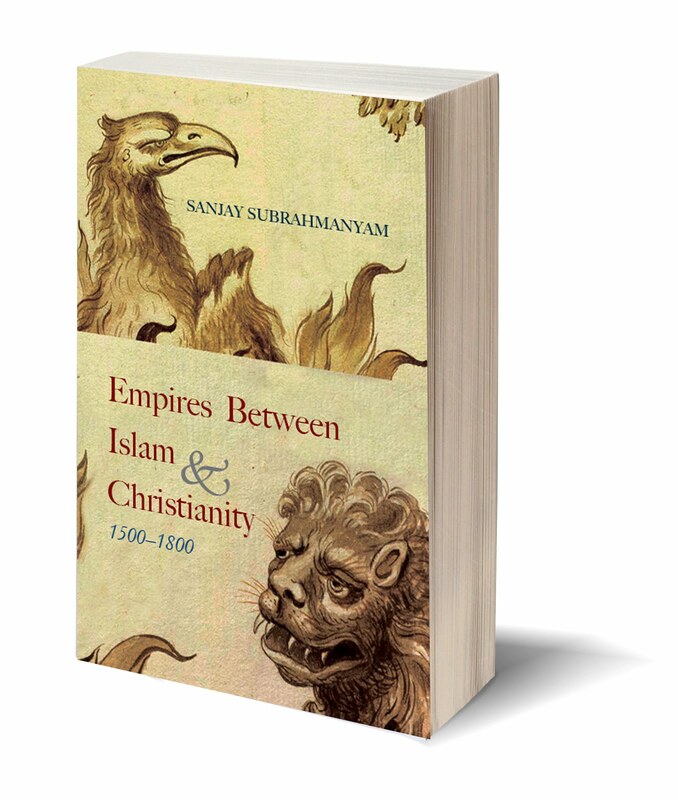 This book, Green and Saffron, has been long in the making. In what ways is it different from the project you originally embarked on? I would respond in two parts: how is it different from my earlier works, and from its earlier conception. The making of this book reminds me of the story of the rabbit and the tortoise, narrated to us since childhood: to win the race, the rabbit runs fast, but the tortoise carries on slowly and steadily. If my journalism was the run of the rabbit, this book has been the slow-steady walk of the tortoise. Where my journalism ended, this book began. It also has a distinctive feel because, since its inception, I have been working formally and informally with some brilliant environment scholars and historians. Editors normally publish. However, academics make it difficult (at times impossible) to publish. 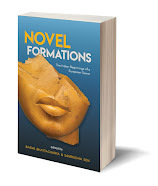 And this gave me a robust/difficult discipline, and style of writing and publishing. Also, my other projects like Contested Coastlines (co-worked with Charu Gupta) were more environmental and human-rights oriented in nature, while this work is more political and sensitive. Here I was journeying with some well-established people and vibrant movements in tumultuous political times, attempting to chart a relatively unexplored territory. This long painstaking path was slow in the making and also difficult to pen. When I initially conceived this project, some ten years back, I saw fragmentary and inadvertent links between Green and Saffron. However, as this work progressed, these faint associations became more concrete and wider. Further, I earlier envisioned the work largely in the context of the present and the contemporary. However, later I also dwelt on its deeper historical, social, and political roots. Could you name and discuss five or six books that, over the years, have influenced your thinking or shaped your writing? 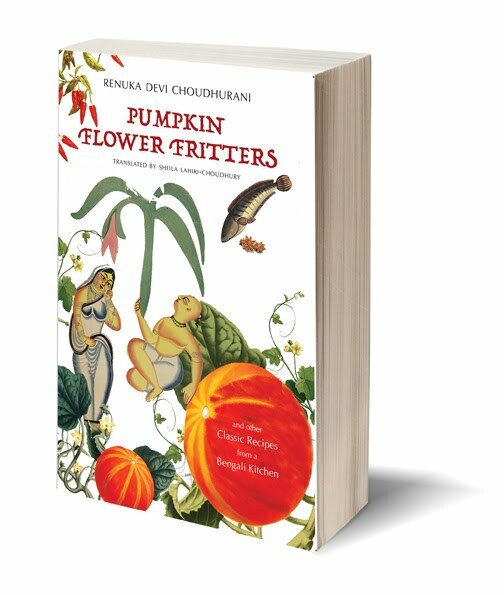 The readings that have shaped my writings have ranged from footpath literature, pamphlets, to journalistic works and scholarly books. However, if I were to pick five or six books, though difficult, I would choose the following: Rahi Masoom Raza’s Hindi novel Aadha Gaon, which narrates the story of a village in Uttar Pradesh at the time of partition and independence, and how Muslim and Hindu families were torn apart. 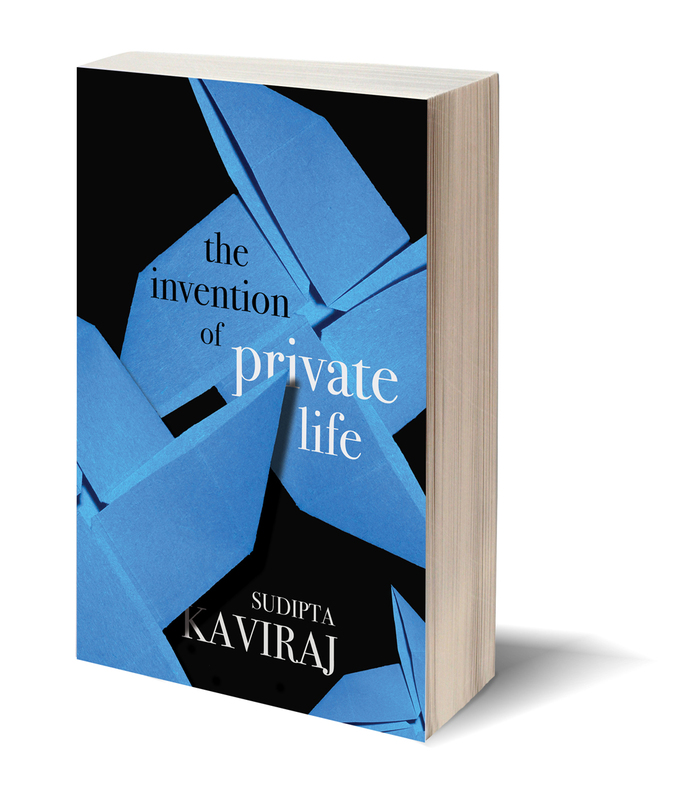 The novel is a powerful testament of how communal politics weaves itself into our everyday existence. Open Veins of Latin America by Eduardo Galeano for the ways in which it rejects a straight-jacketed chronology and instead traces Latin America’s exploitation and impoverishment through a history of its principal commodities over five centuries. John Rawls’ A Theory of Justice has great resonance for me for its ideas of reconciliation between freedom and equality, justice as fairness, and distributive justice. Ramachandra Guha’s The Unquiet Woods has a continuing influence on me for its in-depth and path-breaking study of Himalayan social protests. I consider Richard P. Tucker’s work, especially his Insatiable Appetite: The United States and the Ecological Decline of the Tropical World, a landmark study on modern global environmental history. 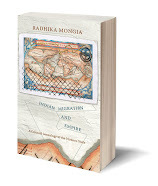 It opens up new areas for me to study any ‘empire’ in the environment. A Field of One’s Own by Bina Agarwal has also been a regular companion.